It is disconcerting to see personal experiences fading into the historical past. Yesterday, 18 February, was my wedding anniversary; Greg and I have been married for 35 years. My memories, of course, are of the church, the bells, the gown and so forth, while the historical fact is now an item in the National Library’s digitised collection of Australian newspapers (most cease at 1956, but the Canberra Times, where our wedding news was reported, has been digitised up to 1995). In the newspaper wedding photograph I am wearing a Honiton lace veil that my grandmother wore at her wedding and was worn by various ladies of the Cavenagh-Mainwaring family. My English cousins kindly sent it to Australia for me to continue the tradition. Yesterday, 35 years later, Greg and I had lunch with friends and spent an enjoyable afternoon at the National Gallery of Victoria. These events will not reach the newspapers, though perhaps this blog might help to make them discoverable, a (very little) part of history. One of my husband Greg’s fourth great aunts was a Cornishwoman, Sarah Tuckfield née Gilbart (1808-1854). Sarah and her twin sister Thomasine were born on 22 July 1808 at St Erth, a sand and clay mining town about 5 km from St Ives. They were the seventh and eighth children of John Gilbart (1761-1837) and Elizabeth Gilbart née Huthnance (1774-1847). John Gilbart was manager of a copper rolling mill at St Erth. He had been a member of the first Copperhouse Methodist Society (Copperhouse was a foundry and its associated district in east Hayle), and in 1783 he had founded the St Erth Methodist Class, the local Wesleyan group meeting. Francis Tuckfield (1808-1865) was a miner and fisherman, who at the age of 18 was convinced by the truths of Methodist nonconformism. He became an active local preacher and in 1835, at the age of 27, was accepted as a candidate for the Ministry. He received two years training at the Wesleyan Theological Institution in Hoxton in London. On the completion of his studies Tuckfield was selected to be a missionary to the Aboriginals of the Port Phillip District (later became the colony of Victoria, Australia). On 13 October 1837, less than a month before his departure, Sarah Gilbart and Francis Tuckfield were married at St Erth. They were then both 29 years old. In March 1838 after a long sea voyage Francis and Sarah Tuckfield landed in Hobart, Tasmania. In July the Tuckfields crossed Bass Strait to Melbourne on board the Adelaide. Sarah’s first child, a daughter, was born at Geelong on 12 August 1838. In 1839 he chose a site near Birregurra, 10 km east of Colac. Governor Gipps granted the mission 640 acres, a square mile. The Birregurra experiment, however, was rapidly deemed a failure by the Victorian Government. In 1848 it was abandoned, and in 1850 the mission grazing licence was cancelled. Francis Tuckfield was afterwards appointed to a succession of churches, first in Victoria and later in New South Wales. On 6 June 1854 Sarah died at the age of 45 in West Maitland, New South Wales. She and Francis had eight children. In 1857 Francis remarried, to Mary Stevens (1823-1886). Eight years later, in 1865, he died at Portland, Victoria. Portraits of Francis and Sarah Tuckfield are held by the National Portrait Gallery in Canberra. Sarah shared not only her father’s love of music and deep Christian conviction, but also his generous strength of character. She was a practical girl, who made an excellent teacher in the Sunday School, and was thoroughly trained in the housewifely arts by her mother. She also took an interest in the sick and incapacitated people in St Earth, who loved her for her kind ways and skills in nursing. Le Griffon, Heather and Orton, Joseph Campfires at the cross : an account of the Bunting Dale Aboriginal Mission 1839-1951 at Birregurra, near Colac, Victoria : with a biography of Francis Tuckfield. Australian Scholarly Publishing, North Melbourne, Vic, 2006. page 18. But this – no doubt well-meant – encomium gets us no further. ‘Love of music’ to a Methodist meant hymn-singing; ‘deep Christian conviction’ covers everything from humble faith to pharisaical self-righteousness; ‘generous strength of character’ sounds suspiciously like stubbornness; ‘thoroughly trained in the housewifely arts’ might mean a drudge; and her kind ways with the sick and infirm makes her look like the village Lady Bountiful. Sarah’s marriage at the age of 29 to a penniless Methodist preacher and her willingness to endure the hardships of missionary life on the far side of the world seem rather noble and self-sacrificing, but these were the usages of the times. She was getting no younger, and her prospects, probably never great, were shrinking. Wives followed their husbands, and she perhaps found some satisfaction in being able to help with his missionary endeavours. Sometimes, of course, images delineate character better than words. The National Portrait Gallery painting of Sarah Tuckfield conveys a certain measure of self-assurance and sense of purpose, especially when her image is viewed with that of her husband. The artist has drawn them with much the same mouth, giving her an air of steadfastness and strength of will; he looks feminine and ineffectual. He looks coyly at the viewer; she stares beyond, into the future. We’re left wondering. Could it be that it was Sarah who turned the Cornish miner into the Methodist preacher, urged him to attend the Hoxton Institution, encouraged him to emigrate, and supported him in his mission? C. A. McCallum, ‘Tuckfield, Francis (1808–1865)’, Australian Dictionary of Biography, National Centre of Biography, Australian National University, http://adb.anu.edu.au/biography/tuckfield-francis-2747/text3887, published first in hardcopy 1967, accessed online 5 June 2018. Le Griffon, Heather and Orton, Joseph Campfires at the cross : an account of the Bunting Dale Aboriginal Mission 1839-1951 at Birregurra, near Colac, Victoria : with a biography of Francis Tuckfield. Australian Scholarly Publishing, North Melbourne, Vic, 2006. “St.Erth Methodist Church.” St Erth Parish Council, St Erth Parish Council, 31 Aug. 2013, sterth-pc.gov.uk/st-erth-methodist-church/. “St. Erth Methodist Church.” About Us – St. Erth Methodist Church, St. Erth Methodist Church, www.sterthmethodists.co.uk/aboutus.htm. The starting point for my ahnentafel list is my children, the list formed by combining my tree with that of my husband Greg. I know all the names of our children’s 3rd great grandparents. In the next generation, however, I don’t know the parents of George Young (c.1826-1890), Greg’s great great grandfather. George is number 32 on the index; I don’t know the names of his parents, numbers 64 and 65. There’s no help from his death certificate; the informant does not name his parents. Other information about him is scanty. From his death certificate I know that he was born in Liverpool, and this corresponds with details that he provided on the birth certificates of his children, but I have not found his marriage certificate. The reason may be that he and his wife Caroline Clarke were married before compulsory civil registration was introduced in Victoria in 1855, or perhaps they never formally married. I have not found a shipping record for him, and I have no evidence that he had any near relations in Australia. Land records, and I have several that concern him, give no relevant information. George did not leave a will. Frustratingly, the name Young is too common to identify George from the many other births in Liverpool about the same time or from people with the same name listed on the United Kingdom 1841 census. I feel my best hope in identifying George’s parents and finding out more about his life before he emigrated to Australia is through DNA. Several of Greg’s cousins descended from George have tested their DNA. I hope that DNA will lead me to one or more of the descendants of George Young’s siblings. Their research might get me past the dead end I have come to with George himself. Greg has a number of shared DNA matches (shown in green on the chart). I have not yet identified anybody descending from a brother or sister of George Young. I do have some DNA matches from people with the surname Young who were born in Liverpool, descendants of Philip Young (1840-1910). I have not yet found the parents and grandparents of Philip to allow me to make the connection between our two trees, although we have several DNA matches. However, having an additional line to search, which appears to be connected by name, place and shared DNA, gives me a better chance of finding the family of George Young. Looking at some paintings by Nora Heysen recently, I was delighted to discover that one was of a relative of mine, my second cousin twice removed, Minnie Sutherland Goldstein (1908-1984). She was my grandfather’s second cousin, one of the children of Selwyn Goldstein (1873-1917) and Minnie Waters Goldstein née Sutherland (1883-1952). Minnie’s father Selwyn was a mining engineer, manager of the Mount Cattlin Copper Mining Company near Ravensthorpe, a couple of hundred kilometres west of Esperance in Western Australia. Minnie was born there on 13 August 1908. On 13 October, with Minnie only two months old, the family moved to England, sailing on the Runic from Albany to Plymouth. In 1909 the Goldsteins moved to Mexico where for two years Selwyn managed a large mine. They were forced to return to England, however, by the upheavals and danger of the Mexican Revolution. On 9 November 1915 Selwyn Goldstein enlisted in the 173rd Company of the Royal Engineers. On 8 June 1917, during the Battle of Messines, where he had a part in blowing up the ridge the day before, he died of a gunshot wound, self-inflicted. In 1922, Minnie’s mother and her four children – Minnie was then 13 – returned to Australia, where they settled in Perth. Digitised newspapers and other records held by the National Library give us glimpses of Minnie’s life. In November 1922 Minnie wrote to the Children’s Page of the Perth Daily News. In 1923 Minnie played lawn tennis for her school, but she lost the game. She was at school at St Mary’s Church of England Grammar in year V and won a prize for divinity; her sister Isobel was in the same year and won prizes for divinity and languages. In 1926 she was at many events including a party, a dance at the rowing club, the Children’s Hospital Ball. By December 1926 Minnie was training as a nurse at the Perth Hospital. The social whirl seems to have continued, and Miss Minnie Goldstein was often mentioned in the society columns. In 1930 Minnie became engaged to Jack Round-Turner. The marriage did not go ahead. Minnie Goldstein enlisted in the Australian Army on 28 August 1942. In 1944 she was painted by the war artist Nora Heysen in Alexishafen, Papua New Guinea while working in the blood bank of 111 Australian Casualty Clearing Station. South Alexishafen, New Guinea. 1944-08-08. Officers and members of the nursing service on the staff of the 111th Australian Casualty Clearing Station. Identified personnel include WFX32604 Sister M.S. Goldstein (8). From Australian War Memorial photograph 075085. Sister Goldstein was discharged from the Australian Army on 17 February 1947 with the rank of Lieutenant. Her posting at discharge was 2/1 Australian General Hospital. Minnie returned to work as a sister at the Princess Margaret Hospital for Children in Perth. In 1956 Minnie married Maxwell Percival Rose (1915-1973). Minnie died in Perth on 5 April 1984. A LADY’S LETTER (1911, June 20). Kalgoorlie Western Argus (WA : 1896 – 1916), p. 11. Retrieved from http://nla.gov.au/nla.news-article33392744 gives an account of Minnie’s mother in Mexico entertaining, at their own invitation, the leader of the rebels and several of his followers at dinner. My third great aunt Helena Gill was drowned in a shipwreck in 1932. Helena Lucy Gill née Hughes (1866-1932 ), seventh of the eight children of my 3rd great grandparents Samuel Hughes (1827-1896) and Sally Hughes née Plaisted (1826-1900), was the younger sister, by twelve years, of my great great grandfather Edward Walter Hughes (1854-1922). Transcription In loving memory of dear mother Helena Lucy GILL died heroically helping others in shipwreck of “Casino” at Apollo Bay, 10 Jul 1932, age 65 Duty nobly done. 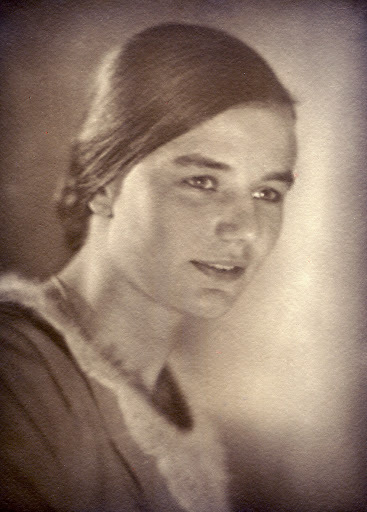 Vera Ila Gill (1903-1986), known as Ila, who married Charles Dudley Care in 1926. In 1909 Helena, then living in Maribyrnong Road, Moonee ponds, sued her husband in the Prahran Court for maintenance. His address was Chapel Street, Windsor. The court found in her favour. From 1914 Helena appears on the electoral rolls as ‘stewardess’ with her address ‘SS Casino, Prince’s Wharf, S.M.’ On the 1913 roll her address was 68 Maribyrnong Road, Moonee Ponds, and her occupation home duties. It seems that when her daughter Ila turned 11, Helena went to work as a stewardess. The SS Casino, 160 feet, was an rivetted-iron coastal steamer, based in Port Fairy on the south-west coast of Victoria, owned by the Belfast and Koroit Steam Navigation Company (Belfast was the early name for Port Fairy). The company was formed in March 1882 and took delivery of the Casino the same year. The ship, built in Dundee, Scotland and launched in February 1882, was intended to service the north coast of New South Wales and was named for the town of Casino, New South Wales. The owners of the new company successfully bid for her when she was travelling through Warrnambool, Victoria, and the Casino arrived in Port Fairy on 29 July 1882. She carried cargo and 25 passengers between Melbourne and Portland, stopping at Apollo Bay, Warrnambool and Port Fairy, over the next five decades making around 2,500 voyages. Early on the morning of 10 July 1932 the SS Casino sank in Apollo Bay while trying to secure a mooring. There was a south-easterly gale and a heavy swell. Coming alongside the jetty the Casino grounded on its anchor, fatally piercing the hull. The captain first tried to get an offing, but realising the vessel was sinking, turned to beach her. A few cables from the shore she was overwhelmed and sank in three or four fathoms. Captain Middleton and nine other members of the crew were drowned, Helena one of them. Helena’s body, with the bodies of four other crew, was recovered. She was buried in Melbourne General Cemetery. The wreck of the Casino, now a scuba diving site, lies in nine metres of water 400 metres from the shore. Her propeller and bell are part a memorial to the ship at King George Square in Port Fairy. The ship’s wheel is displayed in the Apollo Bay Hotel. The name “Franklin Gill” is transcribed with the dedication on Helena Gill’s gravestone. I do not know who he was or how he was related to Helena. I have since visited her grave at Melbourne Cemetery and there is no mention of Franklin Gill – apparently a transcription error. I have amended my copy of the transcription above. Headstone on the grave of Helena Lucy Gill at Melbourne General Cemetery Baptist section B grave 731. “S.S. Casino.” Victorian Heritage Database, Heritage Council Victoria, vhd.heritagecouncil.vic.gov.au/shipwrecks/108/download-report. “SS Casino.” Curated by Lynda Tieman, Port Fairy Historical Society, Victorian Collections, Museums Victoria, 3 Mar. 2017, https://victoriancollections.net.au/stories/ss-casino. “S. S. Casino.” Monument Australia, Monumentaustralia.org.au, monumentaustralia.org.au/themes/disaster/maritime/display/33118-%22s.s.-casino%22. Riddiford, Merron. “Trove Tuesday – S.S. Casino.” Western District Families, Merron Riddiford, 9 July 2013, westerndistrictfamilies.com/2013/07/09/trove-tuesday-s-s-casino/. On Friday 30 May 1879 a five-year-old girl called Hannah Fish died at Lamplough, a small gold-mining town near Avoca in central Victoria. Her death was sudden and unexpected, and a coronial inquest was held the next day. Hannah was the child of an unmarried daughter of William Fish, a miner, who deposed that the thumb of her left hand had become inflamed a couple of weeks previously, that her grandmother had bathed and poulticed it, that within a few days she was retching, and that he had given her four teaspoons of fluid magnesia (magnesium hydroxide in suspension, a laxative and antacid) to settle her stomach. He did not call a doctor or take her to see one: ‘I did not have any medical attendance for her, but would have brought her to the doctor yesterday afternoon had she lived’. An Avoca doctor called William Selwyn Morris stated that he had seen the body. He believed that the cause of death was ‘inflammation of the absorbent vessels’: her lymphatic system had been overwhelmed by the infection. A paragraph in the Avoca Mail on the following Tuesday reporting the inquest added the information that there appeared to be severe ‘gathering’ (accumulation of pus) on one of Hannah’s fingers. This rapidly extended to the arm, then to the chest. Morris offered the opinion that the wound may have been caused by a venomous insect and that he had no reason to believe that ‘violence or [deliberate] injury’ had caused Hannah’s death. Fluid Magnesia or Magnesium Hydroxide was first patented in 1818. In 1879 it was advertised in many newspapers including the Avoca Mail. Without knowing more about the circumstances it is impossible to say whether and to what extent Fish and his wife were responsible for the little girl’s death. Two teaspoons twice of a mild laxative seems a culpably inadequate treatment for a spreading suppurating wound, which would most certainly have produced a high fever and great agony. Even if she had been attended by a doctor, it was decades before antibiotic drugs were available and in common use, so the result may have been the same. The blame for poor Hannah’s untimely death, if we can speak of blame, must be divided somehow between an indifferent universe, a cruel and incompetent God and, perhaps, her callous and careless family. It took him a day to die. Hannah Fish (1874 – 1879) was the daughter of Hannah Fish (1856-1891) and was the niece of Alfred Fish (1860-1932), who later married Rachel Young (1865-1918) and also the niece of Alfred’s brother Thomas Fish (1872-1949) who married Rachel’s sister Alice Young (1859-1935). In The Wind in the Willows the irrepressible Mr Toad escapes from gaol by dressing as a washerwoman. My 7th great aunt Margaret Lady Ogilvy is said to have escaped from Edinburgh Castle, where she had been confined after the failure of the ’45, in much the same way, disguised as a washerwoman. Margaret (1724-1757) was one of 14 children of my seventh great grandparents Sir James Johnstone (1697-1772) and his wife Barbara née Murray (1703-1773). In 1745 Margaret married David, Lord Ogilvy (1725-1803), who had raised a regiment in support of the Young Pretender, Charles Edward Stuart. Margaret accompanied her husband during the rebellion. Ogilvy’s clansmen were cut to shreds at Battle of Culloden on 16 April 1746, and in the aftermath Margaret Lady Ogilvy was captured and kept at Edinburgh Castle. In November 1746 she escaped, “disguised as a washerwoman”. Margaret Ogilvy made her way to France where she was reunited with her husband, who had survived Culloden and fled to Paris. He later became a general in the forces of the French king. So the story goes, but it is suspiciously similar to a tale told about David Ogilvy. He too had been captured after the failure of Culloden and is said to have escaped St Andrews Castle dressed as a woman, in his sister’s clothes. My sixth great grandfather, Charles Kinnaird (1723-1767), brother-in-law of Margaret Ogilvy née Johnstone was also imprisoned during the rebellion. In November 1745 Kinnaird was committed to prison by the solicitor of His Majesty George II for holding treasonable correspondence with the Highlanders at Carlisle, but was released a few weeks later on 19 December 1745. He is described in family stories as having “eaten his commission in prison”, destroying in this way the documents and correspondence he was carrying. Kinnaird was imprisoned with Walter Scott, a servant of his future father-in-law, Sir James Johnstone of Westerhall, Dumfries. In 1748 Charles Kinnaird married Barbara Johnstone (1723-1765), Margaret’s sister. I am descended from Charles and Barbara Kinnaird through Charlotte Dana (1820-1904), my third great grandmother. Rothschild, Emma The inner life of empires : an eighteenth-century history. Princeton University Press, Princeton, N.J. ; Woodstock, 2011. Page 318. Note 28 refers to the imprisonment of Charles Kinnaird and Lady Ogilvie and states The family stories “of Lord Kinnaird eating his commission in prison—Of Westerhall being a refuge for the fugitives & of Lady Ogilvie’s escape”—were recounted by Betty Johnstone, many years later, to her great-niece Elizabeth Caroline Johnstone. Walton, Geri. “Daring Escape of Jacobite Woman Lady Margaret Ogilvy.” Geri Walton unique histories from the 18th and 19th centuries. November 10, 2017. https://www.geriwalton.com/daring-escape-jacobite-woman-lady-margaret-ogilvy/. Charles Jobson Lyon (1843). History of St. Andrews: Episcopal, Monastic, Academic, and Civil, Comprising the Principal Part of the Ecclesiastical History of Scotland, from the Earliest Age Till the Present Time. W. Tait. pp. 32–33 states David Ogilvy dressed himself in the clothes of one of his tiers and escaped disguised as a woman.